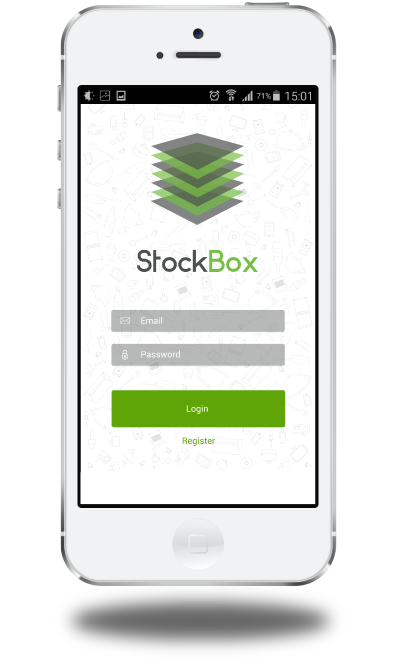 StockBox is a mobile app designed specifically for you, you and your partner, or even your small business to consolidate all the stuff you own in one digitally secure and convenient place. All relevant documentation (guarantees, warranties, receipt and images) and other details about a specific asset are stored in the event of a theft or for insurance quoting purposes and these can be very easily accessed through our simplistic reporting functionality. Maybe you just want a place to store all of your stuff! StockBox gives the user an overall view of everything they own, what is insured and the total value of everything. Use it how you want to, just make sure you enjoy it! Imagine keeping track of all your stuff in one convenient place. Well, you need to start somewhere and that somewhere is by StockBoxing your first item. Don't you hate having to keep all those documents just to prove that you bought something at some stage. The world is changing and we need a solution that suits this change. 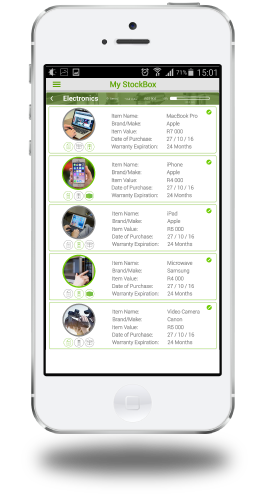 With Stockbox you can capture all the details of any items with a couple simple clicks of your phone. When you sit back and see all your stuff safely stored on the app we know what you will be thinking, "It's Beautiful!" You can use Stockbox. You and your partner can setup a group StockBox. 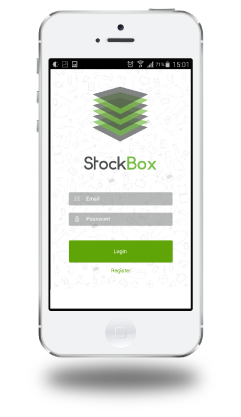 If you have a small business we suggest using StockBox to keep control of all your stuff. It is so easy to use! For any or all of your items. These can be used for getting insurance quotes, insurance claims or just sending your mate some details about something you own. Keep a consolidated list of everything you own and having access to all that information. Now you can have multiple shared accounts with you and your partner or your small business.